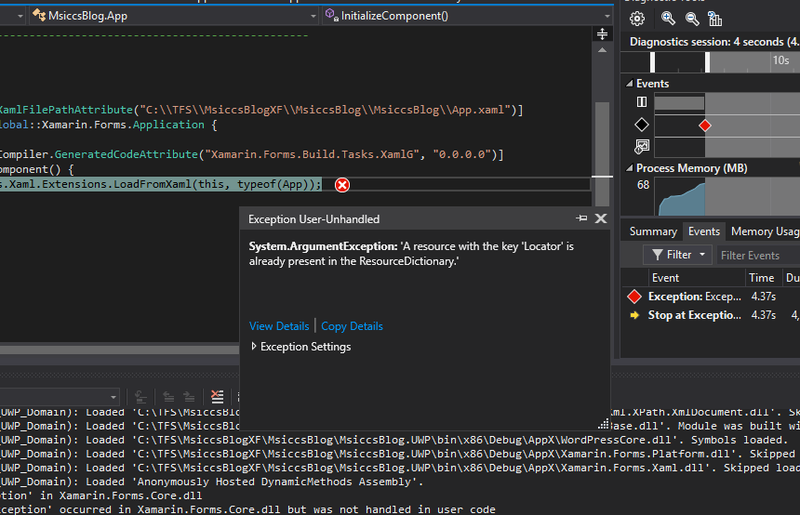 Xamarin Forms 2.5 introduced a bug that prevents resource declaration in App.xaml like many of us are used to. This post shows a possible workaround. Why are you using namespace “” ? Why not using just ResourceDictionary, why use ‘forms’ namespace in front? in earlier versions, this was needed to get the ResourceDictionary working. I did not try to remove the namespace, that’s why it is still there in my code. If it works without, even better! ?